This Friday is Chinese and Lunar New Year, as well as our International Students Party! Plus loads more events coming up in Feb!! HAPPY NEW YEAR AGAIN… AND AGAIN??!!! This Friday we’ll be shouting Happy New Year for the second and third time around! Not only is it the Lunar New Year this Friday 31st January, but it’s also Chinese New Year. Happy New Lunisolar Year everyone! 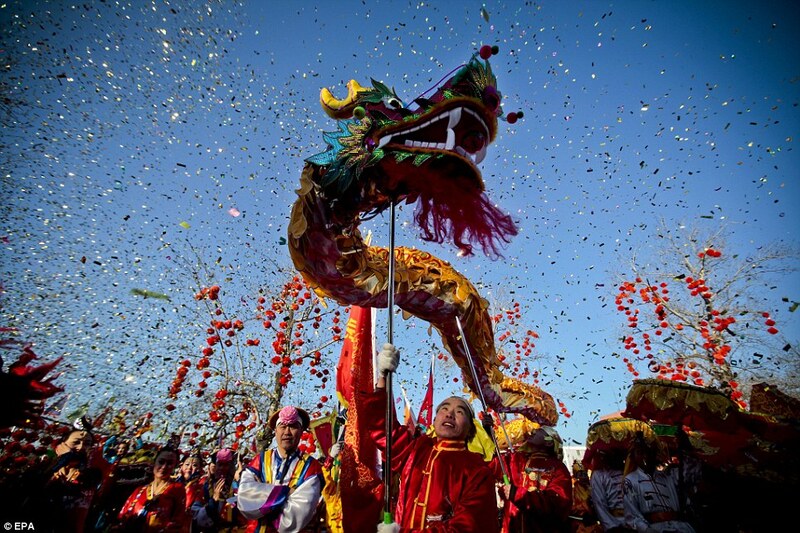 A colourful festival of red lanterns and dragons, it’s traditionally a time for honouring family, ancestors and deities, and to sweep away misfortune and welcome new good luck. And at The Rocket on the same day we’ll be honouring our International Student family at #LondonMet, with a great big welcome party just for them. £4 advance ticket (from the International Office or Rocket Bar). 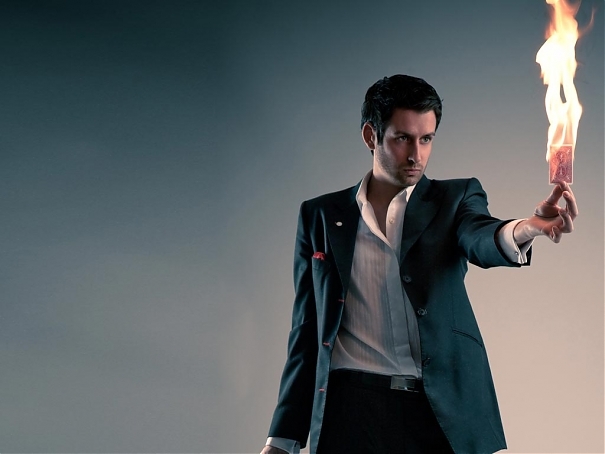 What a treat… we’ve got close up magic and mind reading from the amazing magician Jamie Raven. A free glass of bubbly and nibbles for the first 100 people through the door at 8pm. We’ll have DJs, dancing and games until late, as well as great deals and discounts at the bar all night! Close up magic and mind reading with Jamie Raven at The International Student Party. Tickets are available from the International Office or behind the Rocket Bar. Last entry is at midnight so get down early! Up to 2 guests may be signed in by a London Met student. No Photo ID = No entry. Please bring your Student Card with you. SERIOUSLY YOU GUYS… BEER PONG RULES. Beer Pong Tournament! Let’s go! 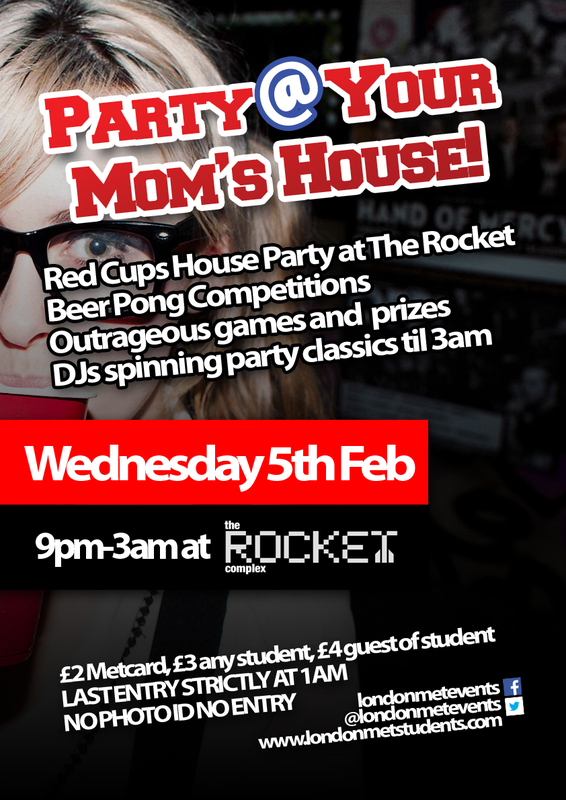 Party @ Your Moms House returns on 5th Feb for a riotous red cups beer pong tournament with games and dancing until 3am. Special deals on jugs and shooters all night at the bar. Outrageous games and prizes! As always geek is the chic and best jock and nerd costumes win prizes!!! Tickets on the door are £2 metcard, £3 ANY student & £4 guest. No Photo ID = No entry. Please bring your Student Card with you! We’re proud to once again be hosting the awesome London Anime Convention. This is an event not to be missed for all fans of anime, cartoons, fancy dress and video games! Tickets are £18 for the entire weekend and you can buy tickets and get more info here. Valentine’s isn’t just for couples!!! Red, yellow or green the choice is yours!!! 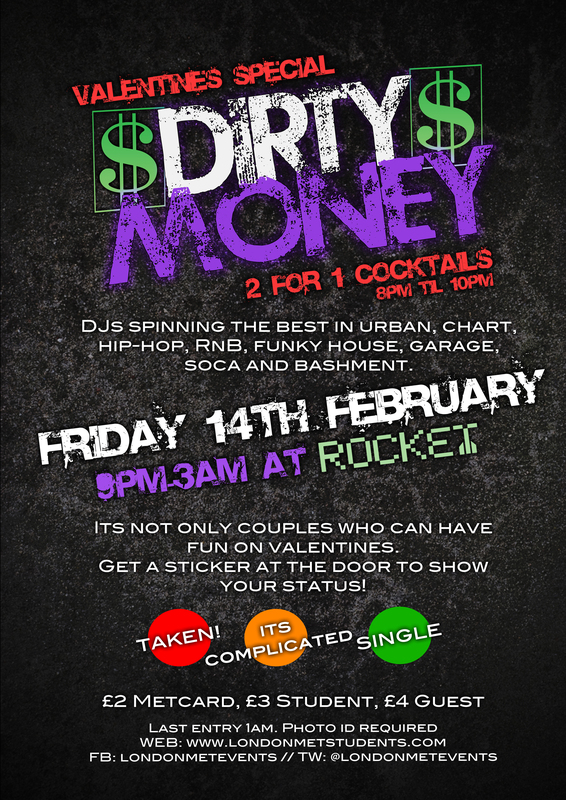 This Valentine’s Day at our strictly urban night ‘Dirty Money’ we’re making sure you know where everyone stands – so we’ve got badges at the door! No more confusion!! Red = Sorry already spoken for! Green = Looking for Love! There’s a pre-party from 8pm – 10pm with 2-4-1 cocktails, then it’s DJs on rotation and music from all across the urban spectrum until 3am, with great deals at the bar all night. 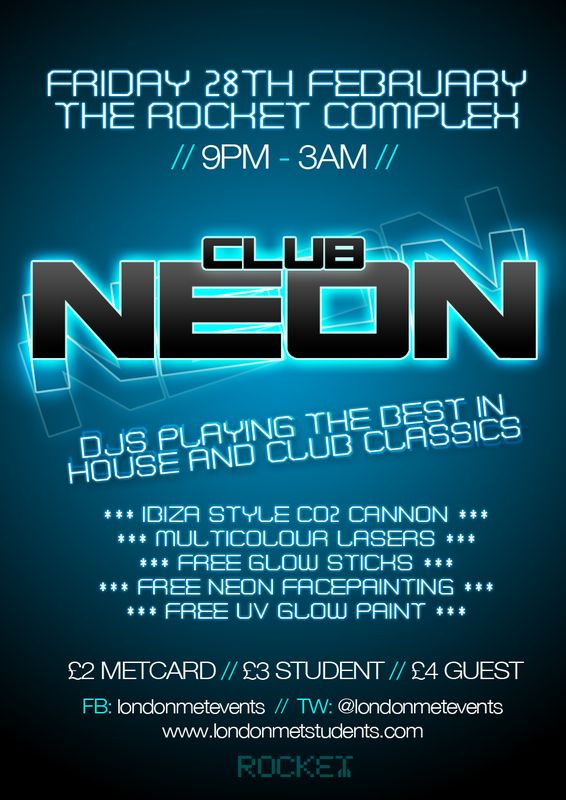 Neon Rave at The Rocket!! More details to follow but as you can expect there will be free glow paint, glow bands, glow sticks, UV, lasers and a CO2 cannon!! We can’t wait for this end of Feb blowout!!! Looking forward to seeing you all soon for some major partying!